Adverts have appeared on Egyptian TV warning about "rumours" circulated on social media. 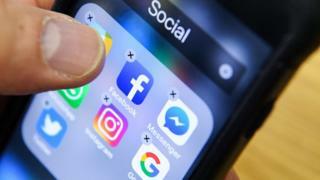 It comes days after President Abdul Fattah al-Sisi warned in a public speech against the spread of rumours on social media, saying that more than 21,000 rumours had circulated over the past three months. One advert, broadcast on the privately-owned Extra News TV, tackles a widely circulated rumour that three children had been found dead in Cairo as a result of an organ trafficking crime. But the advert refutes the claim, quoting official security sources. "Don't believe everything you see on social media," the advert says. "Check news before you share it. Get news from a well-trusted source." Another advert, broadcast on state-run Nile News TV, reviews eight false rumours "spotted in 10 days". "Social media are platforms of lies," the advert said. One of the rumours highlighted claimed that an Egyptian sovereign fund sold state-owned assets and property without control. But the advert denies the claim, quoting the Ministry of Planning as saying that the fund aimed to preserve the state's assets and make use of them. Another rumour was that six ships collided in the Suez Canal. The advert refutes this, saying that traffic on the canal was flowing normally. The local press has been running a similar campaign, with many newspapers highlighting President's Sisi remark that rumours "could destroy the country". "Sisi warns against destructive rumours," read the headline of the privately-owned Al-Wafd daily on 23 July. Likewise, state-run Al-Ahram al-Masai carried a headline reading: "Sisi warns against the risk of destroying the country with rumours." "Sisi: We faced 21,000 rumours within three months," read the headline of the privately-owned Al-Shorouk. News websites also joined the campaign, interviewing officials and commentators who warned against rumours. "Disseminating rumours in this period aims to spread depression, especially among the youth," Youm7 website quoted Prime Minister Mostafa Madbouly as saying. The director of the government's Media and Rumour Monitoring unit, Naaym Saad, said her team was keen to spot rumours and deal with them once they emerge. "We have to respond to those rumours in order to prevent confusion among the citizens," she told Masrawy website on 23 June. BBC Monitoring reports and analyses news from TV, radio, web and print media around the world. You can follow BBC Monitoring on Twitter and Facebook. Survivors of the fires that have killed 74 people in Greece describe being "forced into the sea".